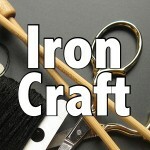 This week for Iron Craft we were to create something using bottles or jars. 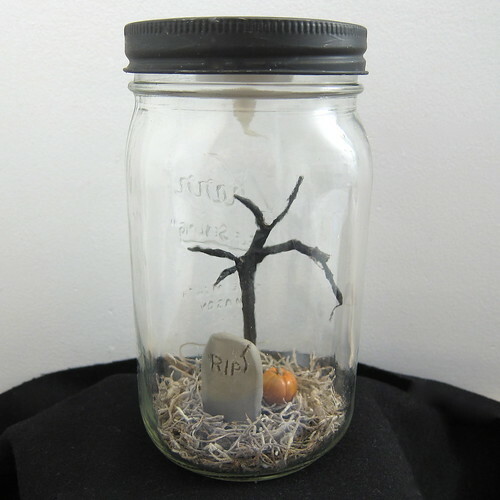 I’d been playing with making creepy trees for Halloween terrariums and thought a mason jar would make for a great vessel. I’m kind of in love with how this turned out. 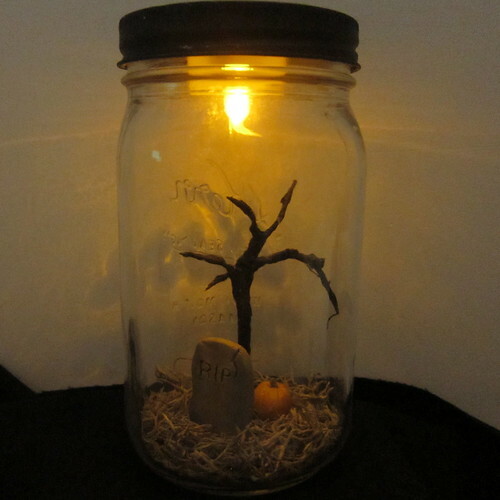 To make it even spookier I added a flickering light to make it really show up at night. I like it so much, I made a bigger one in terrarium that I had killed all the plants in. 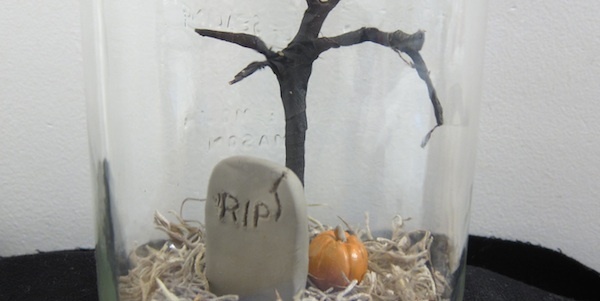 Use the clay to make tombstones and small pumpkins. 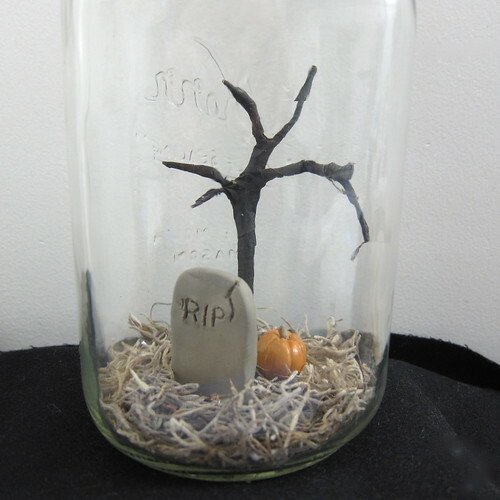 I used a skewer to make the lines on the pumpkin and write things on the tombstones. Since Thing 1 over at A Mom and 2 Things is so good with sculpting clay he helped me make some of my tombstones. I was doing more than one terrarium, so we made lots of different shapes. He even put my and Matt’s names on them! Bake your clay items according to the directions on the clay and let them cool. 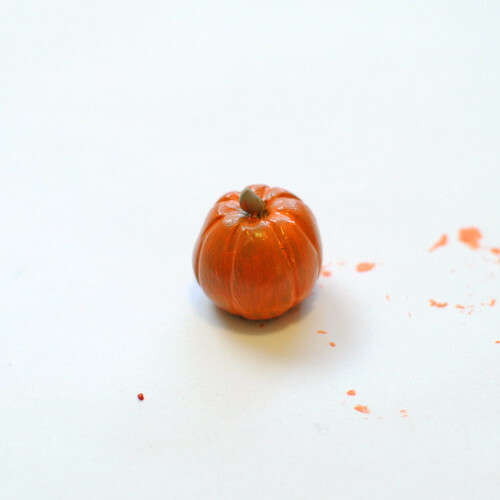 If you made a pumpkins, paint them orange. I kept the orange a little light for more of an antique look. 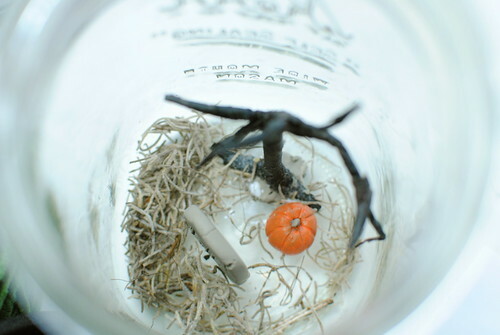 Now comes the tricky part if you are using a jar, putting everything in. This is where things like pliers and knitting needles can help. Pliers and tweezers help place things in and knitting needle type things help push things around. I started by gluing the tombstone in using super glue. 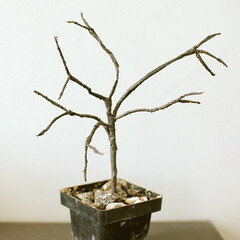 Then I placed the tree. The trees are coated with floral tape and super glue would not hold them down, so I used tacky glue here. Next I added the pumpkin. Finally, I added the brown Spanish moss (Matt thought it looked like decaying things). 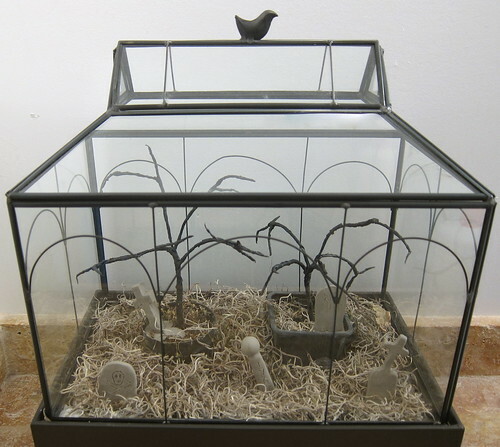 In a small terrarium, it is best cut the moss up into small pieces otherwise it really sticks up. 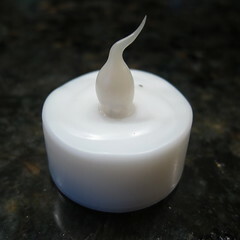 Tape the battery powdered tea light to the inside of the jar lid. You’ll need to be able to take it off in order to get to the on and off switch. 8 years ago by Kat in Challenges , Craft Projects , Crafts , Halloween , Holiday , Iron Craft , Projects | You can follow any responses to this entry through the RSS feed. You can leave a response, or trackback from your own site. Nice idea. 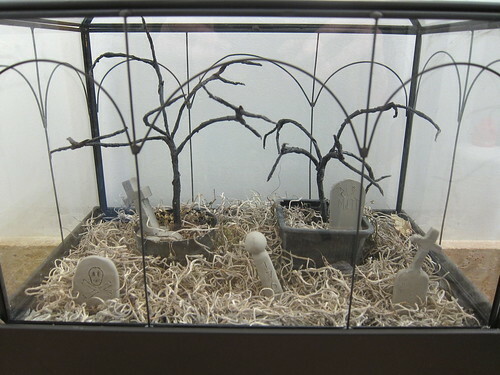 I love how you could use this like the candles people put in their windows at Christmas to decorate the house. What a great project. I mentioned in another post that Halloween has never really been my holiday so I am so entranced by your family’s joy of decorating for Halloween. Regardless, this is a beautiful project. Well done. These turned out great. I might need to make one. What a brilliant idea! I’ve been wanting to join your challenges for some time, but have been way too busy. However, I do get some great ideas to tuck away. Thanks! I LOVE this! I have wanted a live terrerium, but I’m sure I could make this one. Thanks for the great idea!